This description of Meredith caught our attention in Real Facts NC's assessment of the District 19 race: "Meredith, a top lieutenant of Senate Leader Berger, now finds himself in a redrawn district where 30 percent of the voters haven’t seen his name on their ballot before. Gov. Cooper won Meredith’s new district in 2016. However, given Meredith’s deep unpopularity with folks that know him, being less well known to the voters he’ll face might be an advantage." Meredith is a mean campaigner. He beat Democratic incumbent Margaret Dickson in his first campaign in 2010 with what many observers considered sexist attacks and innuendo. He eked out a win with 51% of the vote. His district was promptly gerrymandered to make it friendlier for a Republican, and he more easily won reelection in 2012 against a weaker Democratic opponent. In 2014, he faced a strong Democratic candidate who produced evidence that Meredith had soaked up social welfare money in the 1990s on a six-figure income, and an ex-wife of Meredith's jumped in and corroborated the charges. That scandal got Meredith a good going-over on the Wonkette website, but he won the race again anyway with some very mean TV spots aimed at his Democratic opponent. This year Meredith is running in a court-ordered redrawing of District 19 that might not be so friendly. We would expect him to go full-bore negative on his Democratic opponent, but whoever that Democrat turns out to be (after the May 8th primary), he'll have a smorgasbord of Meredith's record to work with in his own attack ads. Let's hope he's got the will to answer every attack. DeViere has to survive a primary first with a former Cumberland County district court judge, Ed Donaldson, who was last in elective office a dozen years ago. DeViere is a former Fayetteville city councilman (as was Wesley Meredith prior to 2010). 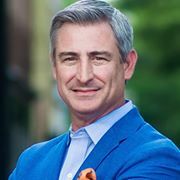 He is president and owner of the 219 Group, a marketing and advertising company in Fayetteville. 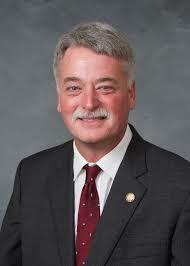 He ran more than once unsuccessfully to be mayor of Fayetteville, first as an unaffiliated voter before switching his registration to Democrat early in 2017. In the municipal elections of 2017, deViere didn't make it through the mayoral primary and was criticized for accepting the endorsement of Anthony Chavonne, a former mayor whose tenure was "littered with strife, corruption and malfeasance." DeViere's campaign website is woefully under-developed at the moment and needs some protein, especially for a man who makes his living as a marketer and promoter. Where's the beef? I think you mean his ex-wife corroborated rather than collaborated.